This is the second devlog of the project P2D (Name to be defined). The changes made in this new version are not that huge of the previous ones. The main reason for this is the iteration over the things made and the polishing and analysis of that should come next. Scroll down to see some GIFs! This milestone has been mostly for iterating over the things done in the last version, I've spend some of the time analyzing and defining what the game has and how everything connects, trying to have a big picture to figure out what is the next step. By playing the game in different devices the color palette seemed darkened, some of the colors have been changed to improve the game appearance. The old camera system that was a small script in charge of following the player has been changed by Cinemachine tool, this will let me implement some cool stuff like camera boundaries or camera animations without losing too much time developing this things. The hero can now attack and inflict damage with a punch! Currently there is only wooden boxes around but it is start. Next step is polish this system and controls to result comfortable to the player. 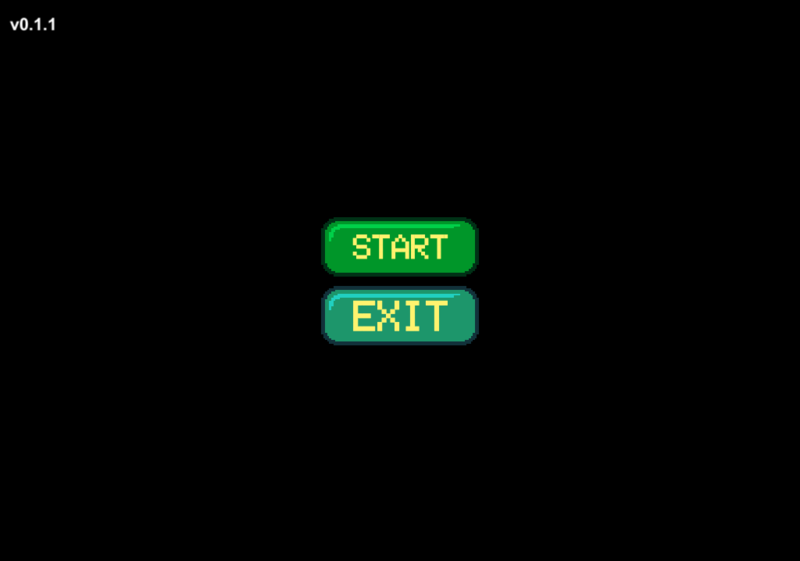 The main menu buttons have been replaced by new pixelated ones. What would be a platformer without traversable platforms? Not a platformer. I've created a couple of wooden platform tiles and implemented to them the one-way platform component included in Unity.